This syndrome is quite rare and there are no specific epidemiological data. It can be observed in both psychiatric and neurologic settings. In my personal neurologic career, I probably met thirty patients with this condition, most of them after frontal or temporal stroke on the right hemisphere. Few patients had Lewy body disease or other forms of dementia. Other few patients showed the disorder after traumatic brain injury (with hemorrhagic lesions or contusions predominant on the right hemisphere). Patients with reduplicative paramnesia believe firmly that a familiar place (generally their own house), has been duplicated and exists simultaneously in two or more locations. 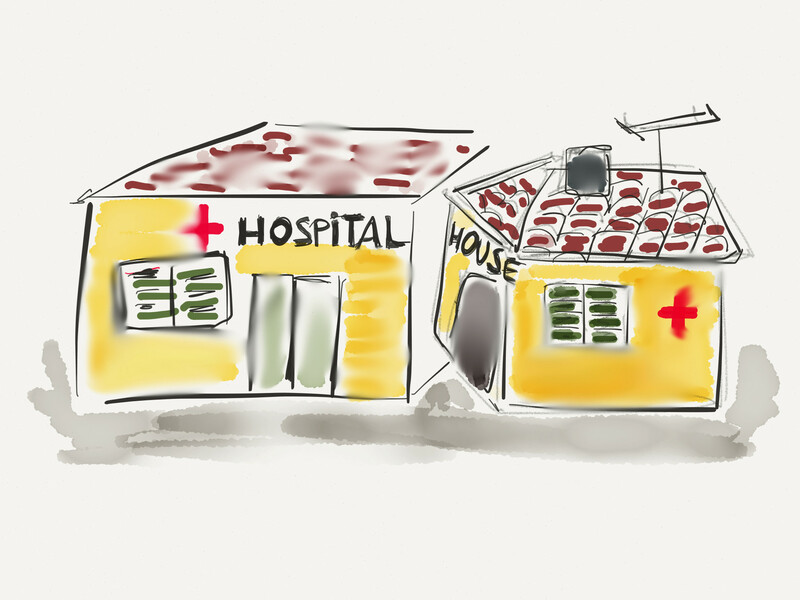 Most patients I met believed that the hospital was actually their own house disguised into the hospital. Others were convinced that the hospital was located in another town than the actual (for example Geneva instead than Lausanne). Other patients indicated a sort of chimeric assimilation: finally, a fusion between the hospital and their house took place. These false believes about places cannot be resolved by providing obvious and logical evidence of the contrary. The strength of this delusion (usually explained by the patient with improbable explanations, so called confabulations) is the key clinical element for the diagnosis of reduplicative paramnesia. However, differently than patients with schizophrenia, neurologic patients with reduplicative paramnesia appear collaborative or show little concern for their condition and do not feel themselves completely menaced by the delusion. The exact neural mechanisms of reduplicative paramnesia are not completely understood. The patients with brain lesions generally show memory difficulties together with visuospatial deficits and defective reality checking. Furthermore, this syndrome requires some distorted sensation of familiarity, which finally arises the patients’ doubts on the identity of places. Finally, there is some kind of anosognosia and/or a general reduction of awareness. There are no specific rehabilitation protocols for the treatment of this condition. Some empirical cues are systematically given to the patients to enhance reality orientation. Rarely patients need some pharmacological treatments for the delusion (low doses neuroleptics). Actually, I follow, as outpatient, an 80 years old woman with a relatively pure form of reduplicative paramnesia 6 months after a medial temporal lobe stroke on the right hemisphere. Actually, she believes that the some furniture of her own house has been removed and is still in the hospital where she had rehabilitation. Her standardized neurobehavioral assessment showed moderate memory visuospatial and executive deficits and the patient verbalizes (despite with mild confusion) her doubts on what is real or not in her thoughts on the location of the furniture. Some suggestions for further assessment and/or treatment? Questa voce è stata pubblicata in Cognition and Behavior, Stroke. Contrassegna il permalink. I have a question: What is the difference as far as the brain goes? Between an average brain and someone who has reduplicative paramnesia? My father has this condition, and after trying to explain that there is only one room, where he gets very upset and distressed when he says “I cannot understand why you don’t believe me” I now go along with his believing there are multiple rooms with all his clothes and same furniture in each. Have there been any instances where reduplicative paramnesia has been applied to body parts? To be more specific, has someone ever thought there hand is actually in two or more places at the same time? or that the hand they have is actually not theirs but someone elses? If so, would this still be considered to be reduplicative paramnesia?